Last week, Senators Rand Paul (R-KY), Jeff Merkley (D-OR) and Sherrod Brown (D-OH) called for a swift end to the war in Afghanistan in a letter to the president.“We urge you to heed the wishes of the majority of Americans by bringing our sons and daughters home safely and swiftly, and, in doing so, ending America’s longest war,” the letter reads. These senators are part of a growing consensus in Congress that the costs of the war outweigh the benefits. Representatives Walter Jones (R-NC) and Bruce Braley (D-IA) recently introduced legislation to require a full cost analysis of the wars in Iraq and Afghanistan. In December, Jones and Braley were joined by 94 members of Congress in calling for an accelerated drawdown. The trend in Congress mirrors the trend in the general public. Support for the war in Afghanistan has declined steadily over the past several years. Recent polling shows nearly 70 percent of Americans believe the U.S. should not be involved in Afghanistan. Considering costs versus benefits, 67 percent say the war has not been worth fighting. Despite strong support for ending the war among the public, Congress has failed to act. Grappling with tough budget issues, policymakers have somehow forgotten the war that has already cost over $600 billion. Experts say the indirect costs of Iraq and Afghanistan will last for decades and will total $4 to $6 trillion. If Congress is serious about addressing the budget problem, they need to look at how taxpayer dollars are being spent in Afghanistan. 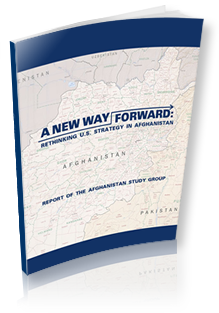 Ending the war and developing a better strategy for future engagement with Afghanistan will advance U.S. security interests, and our economic interests as well.